Debbie Reynolds, a legend and my movie mom. I can't believe this happened one day after Carrie. My heart goes out to Billie. The loss of #DebbieReynolds 1 day after #CarrieFisher is epic. 2016 has taken a piece of all of us. - "I can't imagine what Carrie Fisher and Debbie Reynolds' family are going through this week. I send all of my love." - Ellen DeGeneres on Twitter. - "Debbie Reynolds was one of the last of Hollywood Royalty. It breaks my heart that she is gone. I'd hoped that my grieving was done for 2016." - William Shatner on Twitter. - "A final curtain made of tears #DebbieReynolds #CarrieFisher" - Actress Rose McGowan on Twitter. - "Today is officially a sad day. As a mother my heart goes out to Debbie Reynolds and her daughter Carrie Fisher. RIP DB and CF" - Actress Zoe Saldana on Twitter. - "The unbearable loss of a child and now this. Rest In Peace Carrie and Debbie, sending our love and prayers to the Fisher, Lord family" - Actress Lisa Rinna on Twitter. 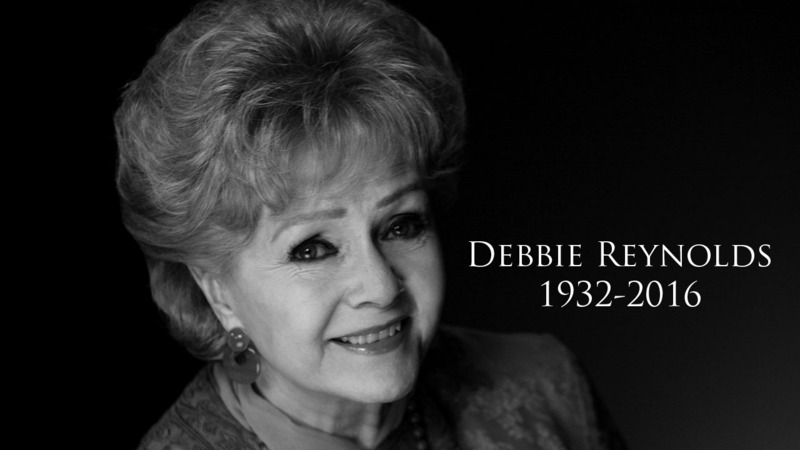 - "Deepest condolences to the family of Debbie Reynolds. I was just notified of her passing. Such a talented charming lady & a good mother" - Actress Barbara Eden on Twitter.